Chinese Foriegn Ministry spokesperson said China stands for common comprehensive and sustainable security idea for the building of cooperation of a new international relation with win cooperate at its core. Beijing: China today cautioned India and other Asian countries against forming informal alliances to counter its increasing assertiveness as they cannot rely on the United States in the Donald Trump era. "I have seen the reports but I doubt the authenticity of these reports," Chinese Foreign Ministry spokesperson Hua Chunying told a media briefing in Beijing. She was commenting on reports from Shangri-La Dialogue in Singapore that India, Japan, Australia and Vietnam were contemplating informal alliances in view of the uncertainties of US policies under President Donald Trump. If those reports are authentic, it demonstrates that Cold War mindset has not been eradicated and "some people approach and handle the country to country relations with zero sum opinion," Ms Hua said. Speaking at the forum two days ago, Australian Prime Minister Malcolm Turnbull said: "In this brave new world we cannot rely on great powers to safeguard our interests." "We have to take responsibility for our own security and prosperity, while recognising we are stronger when sharing the burden of collective leadership with trusted partners and friends," he said. Ms Hua said China stands for common comprehensive and sustainable security idea for the building of cooperation of a new international relation with win cooperate at its core. "Any confrontation and containment will have no way out. Hope relevant people can put China's development in perspective," Ms Hua said. 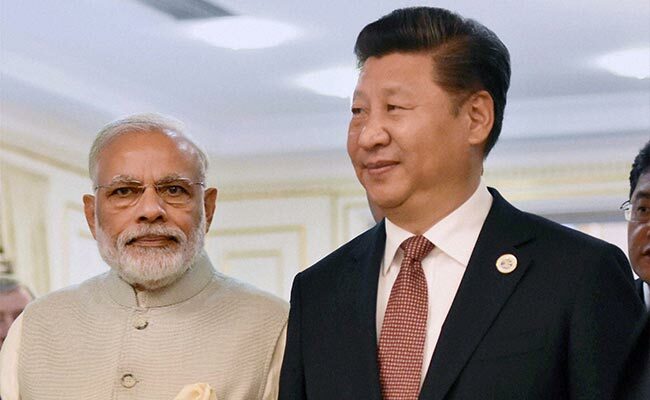 China Urges India, Pakistan To "Quickly Turn The Page"